Our Blueprints challenge this month is all about the word dies included in our Blueprints. For my card I used one of my favourite sets, Blueprints 26. I LOVE using this set to create birthday cards. I started out by picking the patterned paper for the balloon. I went with the Tiny Check in Cherry Crisp. I die-cut the words in the coordinating Cherry Crisp Prestige card stock. I covered the word happy with some Glossy Accents to give it that extra shine! I finished off the card with a few sequins. 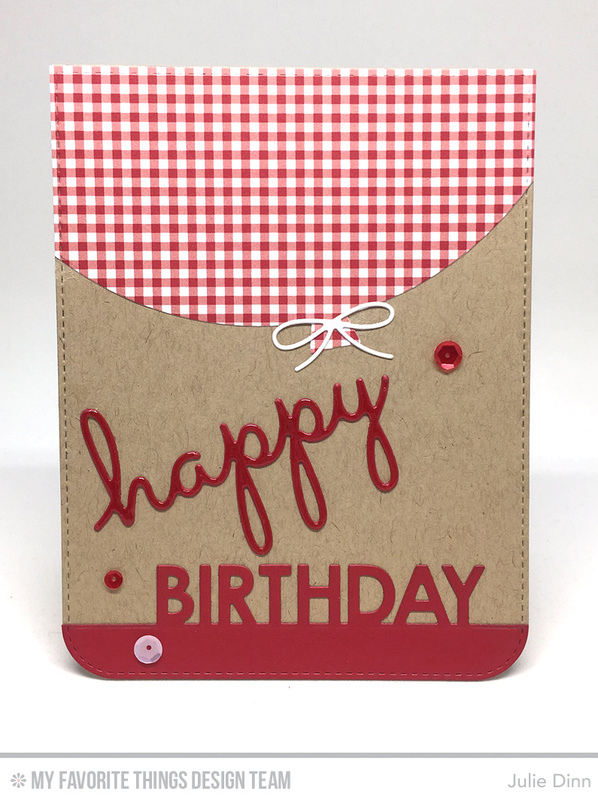 Julie--Love the red Gingham, red and Kraft together! Very striking!